Survivors remember Boxing Day Tsunami, 10 years on. Saturday's news in less than 5 minutes. 1. Survivors remember the Boxing Day Tsunami, 10 years on. Governments, families and friends have remembered the 230,000 people who were swept to their deaths by the Boxing Day tsunami, 10 years ago yesterday. Among the victims were thousands of foreign holidaymakers enjoying Christmas on the region’s beaches. 26 Australians were killed in the tragedy. 400 bodies remain unidentified. 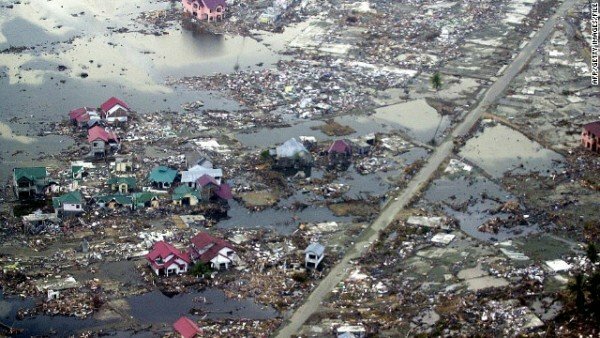 The damage in Indonesia from the tsunami in 2004. 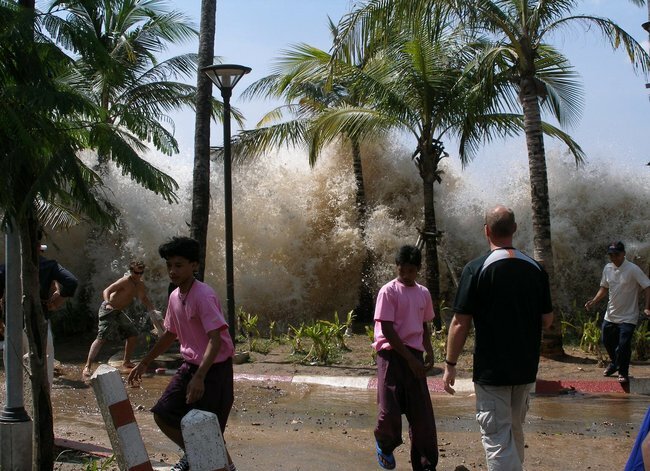 On December 26, 2004 a 9.3-magnitude earthquake off Indonesia’s western coast triggered a series of waves up to 35 metres high that devastated countries as far apart as Indonesia, Thailand, Sri Lanka and Somalia. Memorials have been held in Indonesia, Thailand, Sri Lanka and around the world for the victims of the Indian Ocean tsunami to mark the 10th anniversary of the disaster. 2. Sydney siege gunman was “obsessed with Sunrise”. David Koch and Samantha Armytage host Sunrise on Channel 7. It has been revealed that Sydney siege gunman, Man Haron Monis, spent years lobbying the Australian media watchdog (ACMA) over what he perceived to be breaches in broadcasting regulation by Channel 7’s Sunrise breakfast show. It is believed that the 50-year-old gunman first lodged a complaint of this nature back in 2007 over his concerns that Sunrise’s coverage of the Glasgow terror attacks had indirectly provided viewers with instructions on how to conduct terrorism. Due to the nature and consistency of these complaints there is speculation that Channel 7’s Martin Place studios were in fact the original target of Monis’ hold-up which took place in the Lindt Cafe last week. 3. Food poisoning ruins Christmas for 30 at a party in Victoria. More than 30 people have been affected by food poisoning at a Christmas party at Portsea, in Victoria’s Mornington Peninsula. Ambulance Victoria said they were called to a party of around 44 people, including six children, at Percy Cerutty Oval just before 8:00pm (AEDT) on Christmas Day. Paramedic team manager Brendan Keane said up to 34 people suffered nausea, vomiting and diarrhoea while at the party. “About 22 of those made their way home before paramedics were called to assess 12 others who were still at the party,” Mr Keane said. A version of this post originally appeared on ABC News and has been republished with full permission. 4. 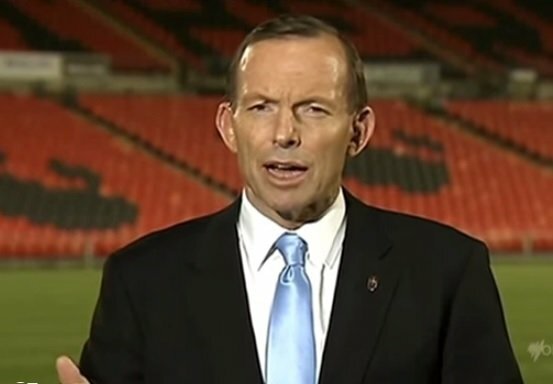 Female voters abandon Tony Abbott on all fronts, according to new poll. New research highlights just how severely Tony Abbott’s popularity has plunged when it comes to female voters. The poll, conducted by JWS Research, highlights that women rate the government “very poorly” across all policy areas and have a much more pessimistic outlook of the economic situation than men. 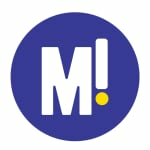 The findings, which are based on the responses of 1000 women over the age of 18, also shed light on just how much the current government has failed to “get” women. These failings include a lack of female representation in cabinet and Mr Abbott’s claim this week that his biggest achievement as Minister for Women has been to scrap the carbon tax. JWS Research Managing Director, John Scales, told The Age that the low performance rating given by women is an indication of the perceived government focus. “The perception is it’s essentially a male government focusing on male issues,” he said. In a double dose of bad news for the PM, a Newspoll released today shows that support for the Abbott Government has taken a dive in all States except WA. 5. Dublin court rules brain-dead pregnant mother’s life support can be switched off. 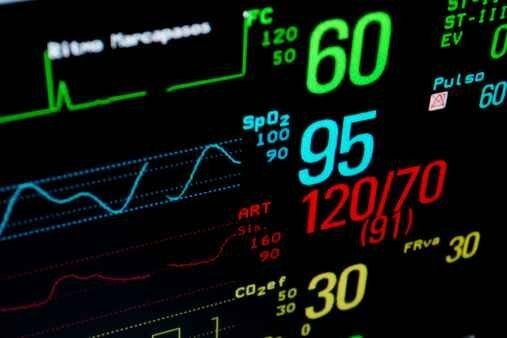 A court in Ireland has ruled that a family can turn off the life support of a brain-dead pregnant woman. The woman had been kept alive by doctors against the wishes of her family, including her husband and two young children. The woman was put on life support at the start of December after suffering severe head trauma. She was injured November 29 and declared brain-dead by December 3, when she was around 14 weeks pregnant. Doctors refused to turn off her life support over fears that they might be prosecuted under Ireland’s strict anti-abortion laws, which give the foetus the same rights as the mother. In ruling that the woman should be permitted to die, Dublin’s High Court said that keeping the woman on life support was “grotesque”. The three-judge court said keeping her on life support would deprive her of dignity in death and subject her father, partner and two young children to “unimaginable distress” in a “futile exercise”. 6. 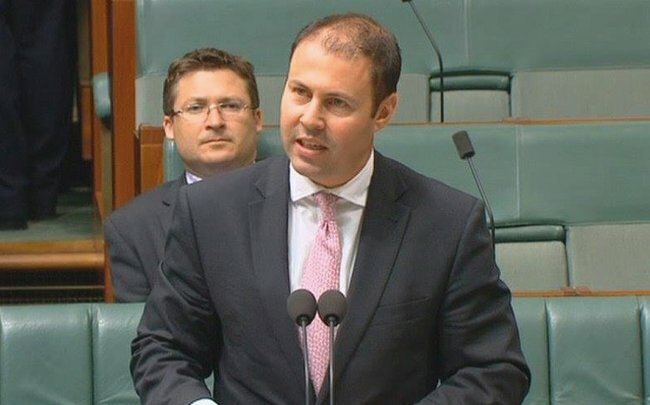 Government considers adding GST to more online shopping says Asst Treasurer, Josh Frydenberg. The government is looking to review the GST threshold for online shopping from international retailers as it believes the practice is costing Australian jobs. Under the current law, goods purchased under the value of $1000 are not subject to the goods and services tax. However, Assistant Treasurer Josh Frydenberg says this is an issue that will come under review when the government conducts it’s annual tax white paper in the new year. “I see this issue very much in the context of local jobs,” he said.